Shocking CCTV footage shows two heartless teenagers robbing a store and leaving the attendant to die after he suffered a heart attack. 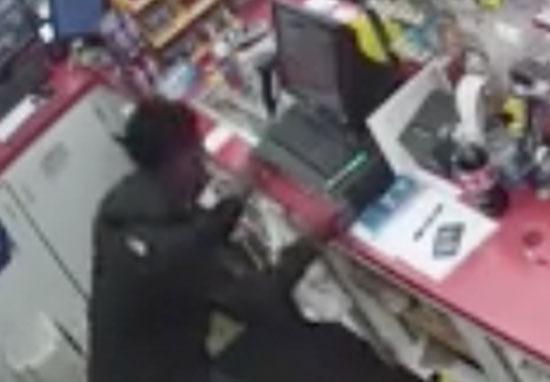 The video, which was shared by Aurburn WA Police Department, showed the two teens from Washington state enter the store and start to eat something from next to the counter. The attendant came around to the front of the counter to talk to them, and moments later fell to the ground. Unbelievably, the thieves made multiple trips in and out of the store to steal things while the man lay unconscious. The man behind the counter, who was identified by coworkers as father of three Zarif Kelada, seemed to be in heated conversation with the two boys when he walked around to the main part of the store. As he turned to return behind the counter, Zarif collapsed to the ground. Sickeningly, one of the teenagers’ first instincts was to take a dollar bill that the clerk had been holding from his hand. Rather than make any effort to help the shop keeper, the boys started stealing things from the store, returning twice until they had opened the till and stolen its contents. At one point one of the boys actually stepped over Zarif to get behind the counter, acting as if he didn’t even exist. One of the teenagers grabbed what appears to be a pepperoni stick from the counter and starts to eat it. He grabs a second one and gives it to the other teenager. The adult male then comes to the counter to purchase an item. It appears that the clerk attempts to charge the adult for the pepperoni sticks and an argument ensues. 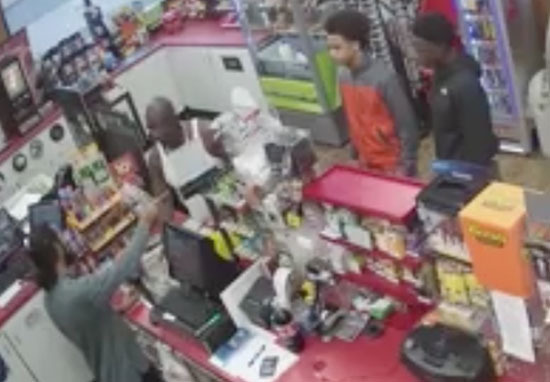 The clerk was given a dollar bill from one of the teenagers. The clerk becomes upset and approaches the teenagers and begins to talk to them. After speaking with them the clerk, with the dollar bill still in his hand, turns to return to the register area and immediately appears to have a major medical issue and collapses to the floor. The police shared the footage with the hopes of catching the thoughtless criminals. The Auburn Police Department is asking for the communities help identifying the three subjects who were in the store at the time the clerk fell to the ground. Someone knows who these people are who did not care at all about this man’s wellbeing. A few minutes after the teens fled the scene, another customer arrived and found Zarif on the ground. He asked people outside to call an ambulance, then started to perform CPR on the attendant. According to KOMO, the police have since managed to identify the teenagers. It’s absolutely heartbreaking. And we’re just all kind of coping with it – hoping that our guy’s going to make it. Angela revealed that the teens stole cigarettes and $178 from the store’s cash register. 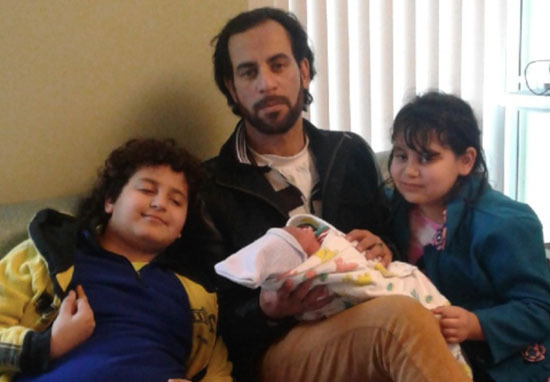 Zarif is now on life support in a local hospital, with his wife asking the community for their prayers. His coworkers have since set up a GoFundMe page to help towards medical bills. Our thoughts are with Zarif and his family at this difficult time.